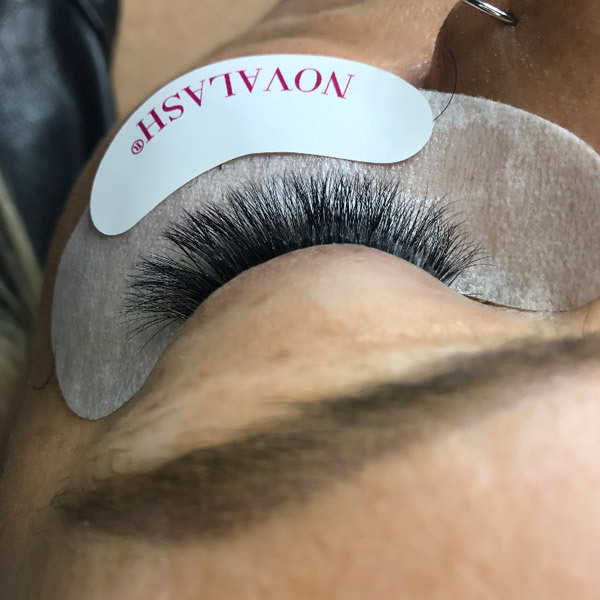 At Glam Beauty Bar we use #1 Global Award Winning Novalash Lash Extensions which provides safe, beautiful, flawless eyelash extensions to enhance any woman’s natural beauty! 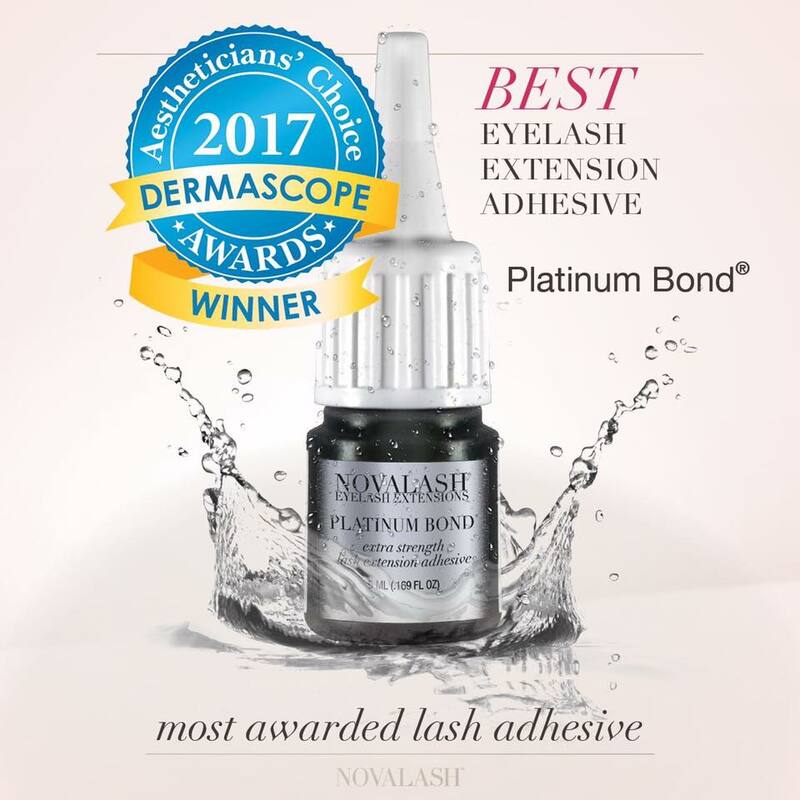 Novalash has developed award-winning adhesives which is instantly waterproof, sweat proof and oil proof. WHY NOVALASH? 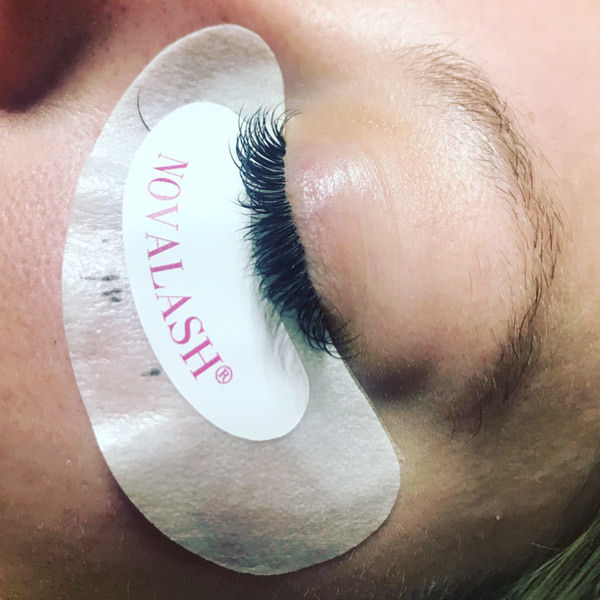 Novalash are a glamorous new way to extend the length and thickness of natural eyelashes. 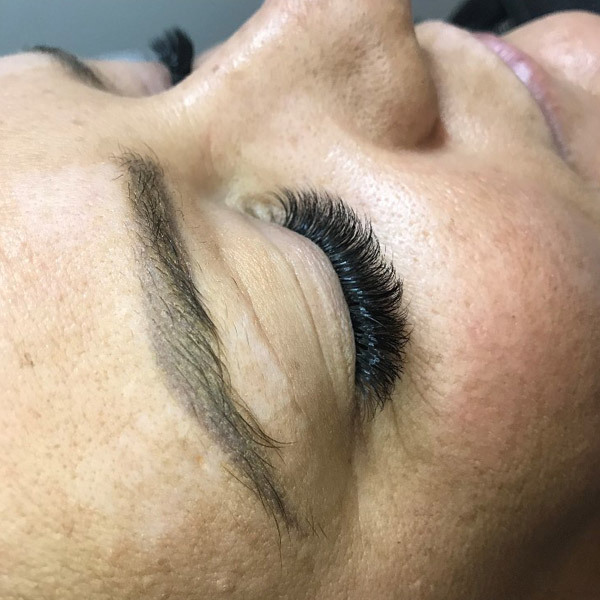 Unlike decades-old, traditional false lashes, lash extensions are the 1st innovation in lash lengthening that can be worn daily, without nightly removal. Each synthetic lash is bonded to a single natural lash, the final result is of effortless glamour and difficult to detect even close up. Your natural lashes shed every 30 days, so your extensions will shed with them, too. That’s why we do touch ups every 2 – 3 weeks… And remember; only a highly trained individual or salon should ever apply lash extensions! 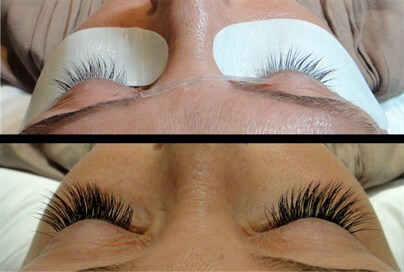 All Glam Therapists hold a Novalash Volume & Classic Lash Certificate. With this new technique, we can now safely boost your eyelash volume by 2 – 8 times that of classic eyelash extensions. Noticeable & Natural. Perfect for Everyday Wear. Dramatic Set – Be the Queen of Lashes with this full GLAM look! 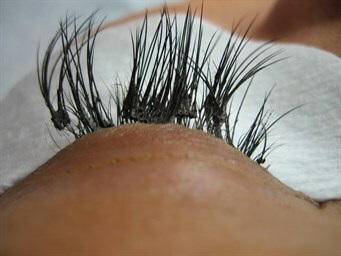 40 lashes are applied to the outer corners of the eye only. Lasts up to 1 week. Perfect for special occasions! Please note: refills cannot be done to flirty sets. Please read – “As a therapist doing eyelash extensions for 4 years, in the last couple of months I have had to remove other peoples work from clients having a bad experience somewhere else with lashes being applied incorrectly” When you’re searching for the “cheapest price,” make sure you stick to toilet paper, paper towels and fuels. But never your eyes! We cannot stress enough that your first consideration must be the training and expertise of the lash specialist-not the price. 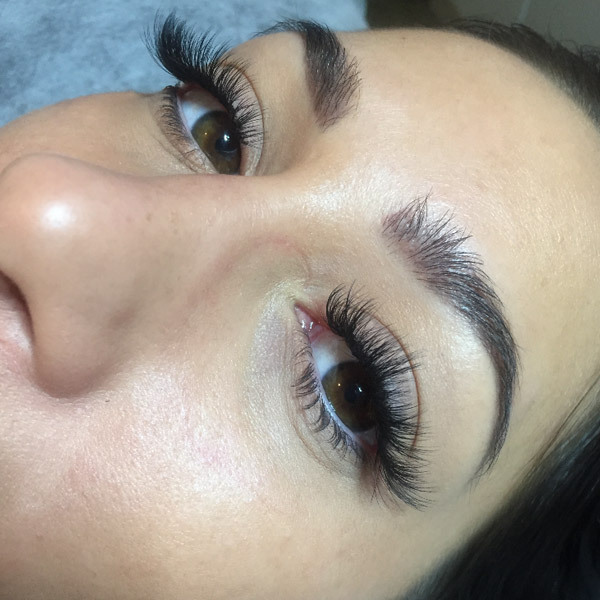 Only serious lash technicians that have received extensive and thorough lash extension training are really truly qualified and capable to do this delicate work near your eyes. Think about it……. Do you price shop doctors? …. cardiologists….Attorneys? …..Builders? Then why would you price shop lash extensions? This type of work is not a commodity; it requires a great deal of skill, care, patience and not to mention dexterity. DAILY TIPS: the most common cause of lash extensions falling out before the end of your natural lash cycle includes excessive touching, use of oil based products, layering on excessive amounts of mascara which requires excessive cleansing, and frequent exposure to heat sources such as spas, saunas and tanning salons. 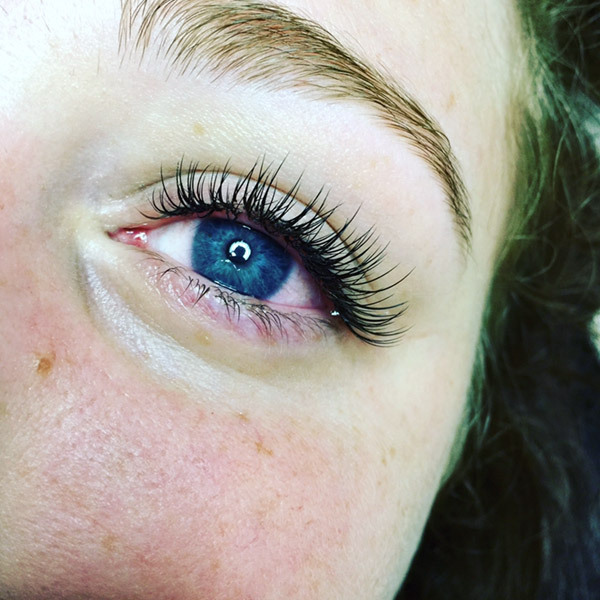 Eyelash extensions are applied to each individual natural eyelash one at a time, depending on your experiences and the amount of lashes needed. 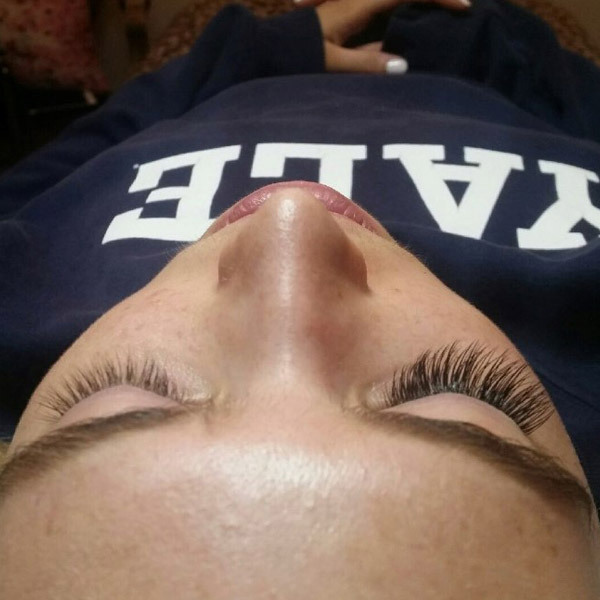 WHY DO YOU RECOMMEND USING DIFFERENT, PROGRESSING LENGTHS OF EYELASH EXTENSIONS? 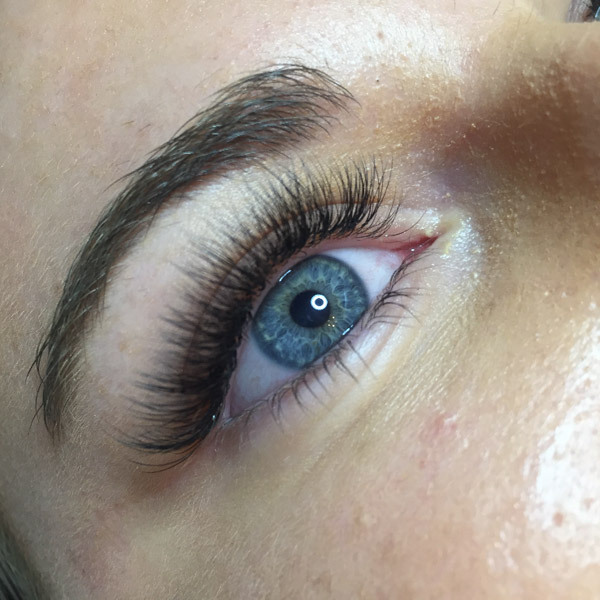 In order to provide our clients with a natural look and feel that is suitable for the clients natural lash without causing damage to the natural lashes. The shortest lashes should go on the interior corner of the eye, the longest lengths towards the middle, and intermediate lengths towards exterior corner of the eye. HOW MANY EYELASHES ARE USED FOR EACH APPLICATION? Determined by the fullness preferred by the client, the length should also be taken into consideration. Each client will desire a different look. This should be determined in consultation. Generally the most basic look 60+ lashes are needed on each eye. For a full glamorous set you can use 80+ or more eyelashes per eye. WHAT SIZES, TYPES AND LENGTHS ARE AVAILABLE? Depending on your desired look we will determine which type are best suited to your natural lashes. It is also possible to use a combination of different sizes and curls to achieve a more fuller look on the tips of the lashes. Sizes of lashes are measured in mm. Sizes range from 7mm – 15mm.